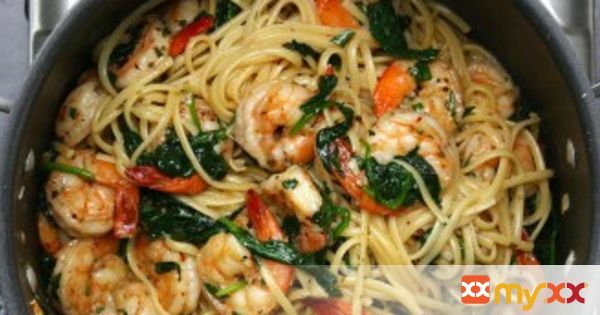 A simple, lemon-garlic shrimp pasta all in one pot. 1. Press Sauté; heat oil in Instant Pot®. Add bell pepper and onion; cook and stir 3 minutes or until softened. Add garlic, sugar, cumin, paprika, chili powder, salt and red pepper flakes; cook and stir 1 minute. Stir in tomatoes; mix well. 2. Secure lid and move pressure release valve to Sealing position. Press Manual or Pressure Cook ; cook at high pressure 10 minutes. 3. When cooking is complete, press Cancel and use quick release. 5. Secure lid and move pressure release valve to Sealing position. Press Manual; cook at low pressure 1 minute. When cooking is complete, press Cancel and use quick release. To cook eggs longer, press Sauté; cook until desired doneness.